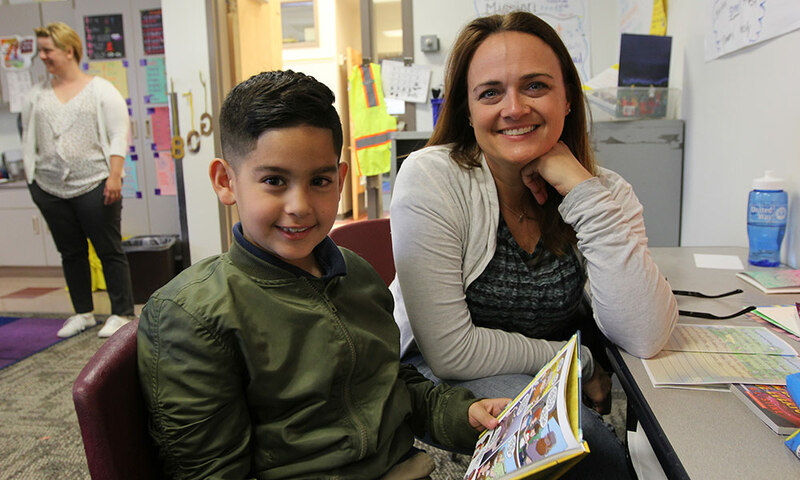 When Jodi met Gerald*, her Mile High United Way Power Lunch reading buddy, he was the new kid in his class. It wasn’t his first time with that experience: the second grader was already attending his third elementary school. The adult volunteer and the young student quickly found that they had a lot in common, and a lot to talk about. Jodi impressed Gerald with her knowledge of English Premier League soccer and Star Wars. Gerald wanted to know everything about his new friend – which struck Jodi as only fair. “I love that we have built a relationship based on education and reading support, but also on laughter and fun. I love that he keeps track of the questions I ask about his family, and he demands an equal number of answers about mine,” she said. Gerald began to mirror Jodi’s habit of doing different voices for different characters as they read together. They looked up new vocabulary words on her iPad. She noticed that his fluency and voice improved with his confidence. Jodi is fighting for Gerald because relationships can change lives and communities. What are you fighting for?